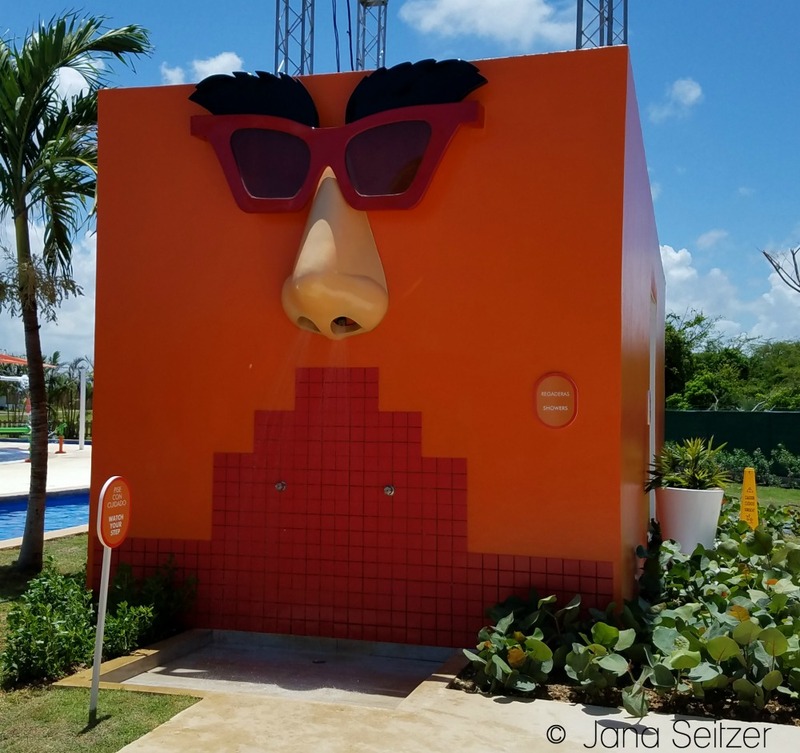 Nickelodeon Hotels & Resorts Punta Cana, Dominican Republic, is luxurious and stunning in its location, but breathtaking sunsets and warm, sandy shorelines aren’t all the resort has to offer. 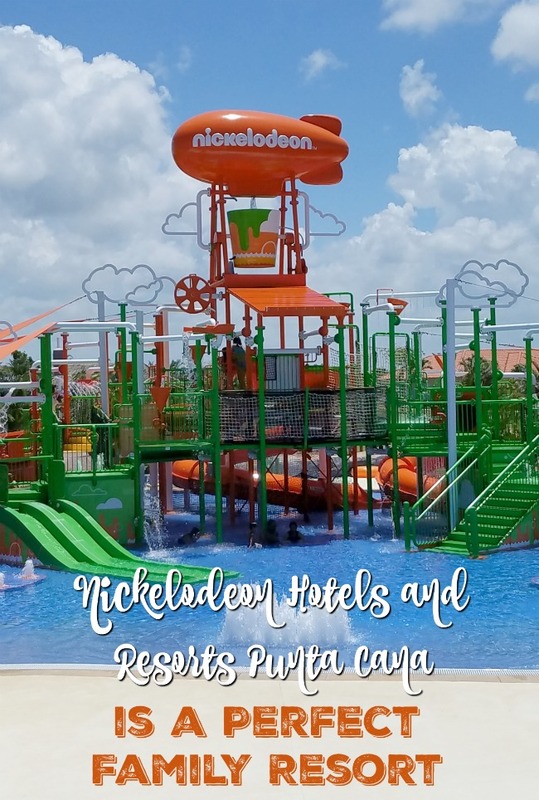 The Nickelodeon Hotels & Resorts Punta Cana is a fantastic family resort that caters to families of all sizes and ages. 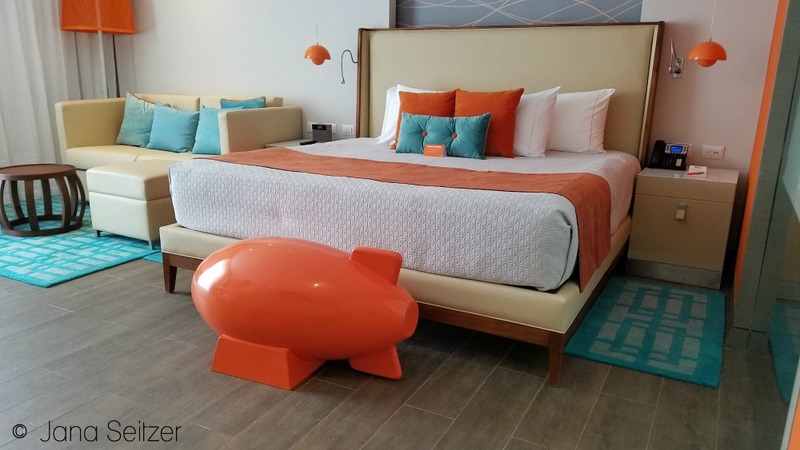 Whether you book a standard suite or one with a swim-up pool, there are unlimited options for combinations of fun at the Nickelodeon Hotels & Resorts Punta Cana. While my daughter and I were there last month, we spent most of our time in the pools on the main property. She discovered that you could swim up to the pool bar and ask for a “virgin” piña colada, and she was in heaven. I think she had 14 in 4 days. 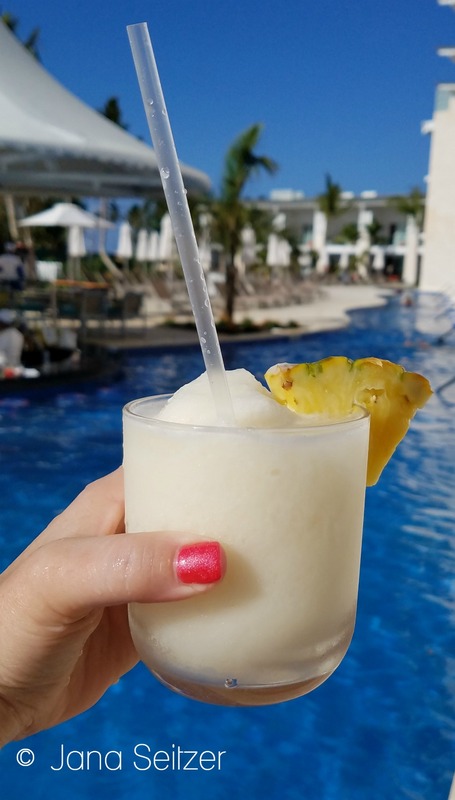 The cabanas by the pool are a great way to stay cool and enjoy those piña coladas poolside. 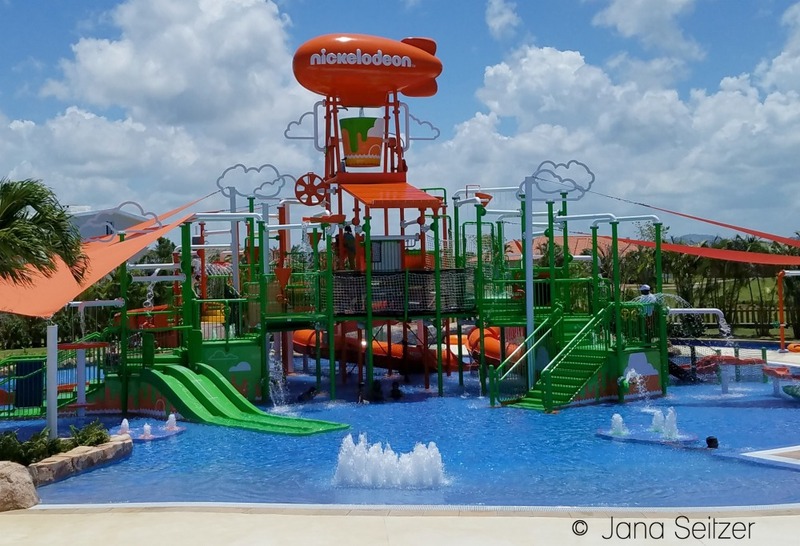 The Aqua Nick water park at Nickelodeon Place is a water park that kids of all ages (and parents) can enjoy. Whether you prefer a splash pad, water slides, or a lazy river, the Aqua Nick is entertaining enough to keep you happy for days on end. We spent hours in the lazy river, both on the tubes and swimming along. The music they play is the perfect mix of current pop and music from the past few decades so everyone can enjoy it. If you’re at the water park in the middle of the day, you can even get slimed or take a shower Double Dare style. For parents with younger kids (starting at ages 4 and up), Nick Kids is a must. 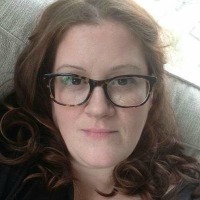 The kids can hang out in a dedicated childcare facility, and the parents can enjoy some time at the adult-only pool, in the ocean, or just some chill time sans kids. I love my kids, but sometimes the best vacations are the ones where we can all get a few hours of break from one another. We really enjoyed the “Cabana Life” at the beach, too. Who doesn’t want cabana service by the ocean? Water on deck with dry towels in a shaded cabana is the perfect way to spend a hot Caribbean afternoon. Dining is sublime at any of the 10 restaurant options at Nickelodeon Hotels & Resorts Punta Cana. Whether you’re looking for unlimited buffet options at one of the restaurants such as Zest or the Lighthouse, or you want a more formal sit-down option such as the Italian Verdello, Nickelodeon Hotels & Resorts Punta Cana offers 10 options to choose from. BRGRS.PH was our favorite of all the places we dined. 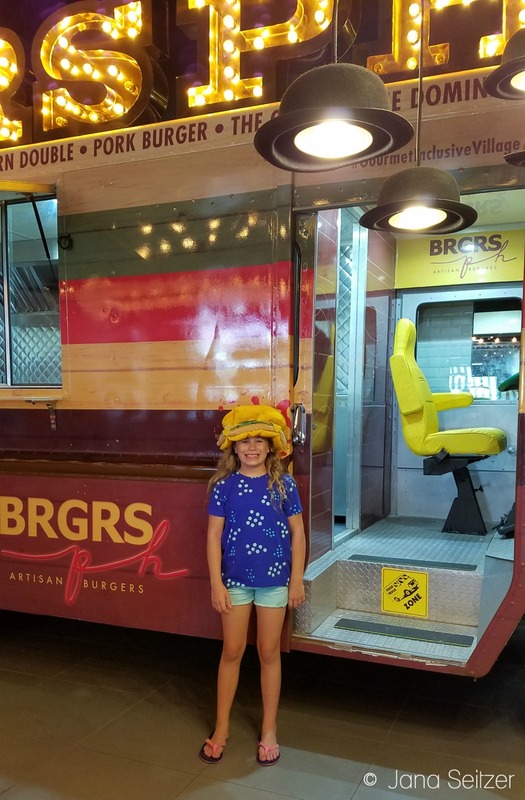 Inspired after the BRGR food truck in Miami, they offer a selection of food truck artisan burgers and selections that are not to be missed.